Question: What happens if you file taxes late in Canada? Obviously you want to file your tax and pay your balance owing on time if you possibly can. The deadline for filing an individual tax return is April 30th, unless you or your spouse are self-employed, in which case the deadline is June 15th. (Be warned though; you have until then to file your taxes; if a balance is owed it still must be paid by April 30th.) If paying a balance by mail, your letter must be postmarked on or before April 30th. If your business is a sole proprietorship or partnership your business income is declared on form T2125, which is part of the T1 Personal Income Tax Return. The penalties for these types of business owners who file taxes late are the same as they are for individuals, although, as you see above, these business owners have until June 15th to file their taxes. Keep in mind that all corporations in Canada need to file an annual T2 return, whether the business is inactive or not. The only way to avoid filing an annual return is to formally dissolve the corporation. Historically the CRA has tended to be lenient about applying late filing penalties to Canadian-resident corporations when there is no tax owing. For non-resident corporations, the penalty is frequently applied even if no tax is owing. If you are filing your taxes late because of circumstances beyond your control, don't panic; the Canada Revenue Agency (CRA) may waive the late-filing penalty and applicable interest. You can get more information about this in the CRA's circular IC07-1: Taxpayer Relief Provisions. If you are communicating by mail, disruption via a postal strike. The CRA may also cancel some or all of the penalties and interest if the inability to pay is due to financial hardship such as the loss of employment, loss of business income, medical bills, etc. In cases of inability to pay you will need to demonstrate that this is the case by providing detailed financial information to the CRA, including statements of your assets, income, expenses, and liabilities. The CRA recommends that you use Form RC376 Taxpayer Relief Request - Statement of Income and Expenses and Assets and Liabilities for Individuals for this purpose. This form should be submitted along with Form RC4288 either online using My Account or My Business Account, or by mail to your nearest tax service office. Even if you owe more taxes than you can pay by the income tax filing deadline, you should still file your income tax return on time to avoid late-filing penalties. If you are able to pay a partial payment on the amount owed the CRA might be more inclined to waive the penalties. 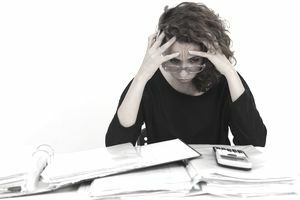 If the amounts and penalties owed are significant and there is no possibility of repayment either in full or via a payment schedule you may need to consult with a bankruptcy trustee who can further advise you of your options, including negotiating a Consumer Proposal with the CRA or declaring bankruptcy. When Must Canadian Corporate Income Tax Returns Be Filed? When Are Canadian Corporate Taxes Due If You Owe a Balance ?